First tied by Tom Larimer, the December Day Steelhead Fly has been proven to be useful during late fall / early winter when water temperatures are falling. 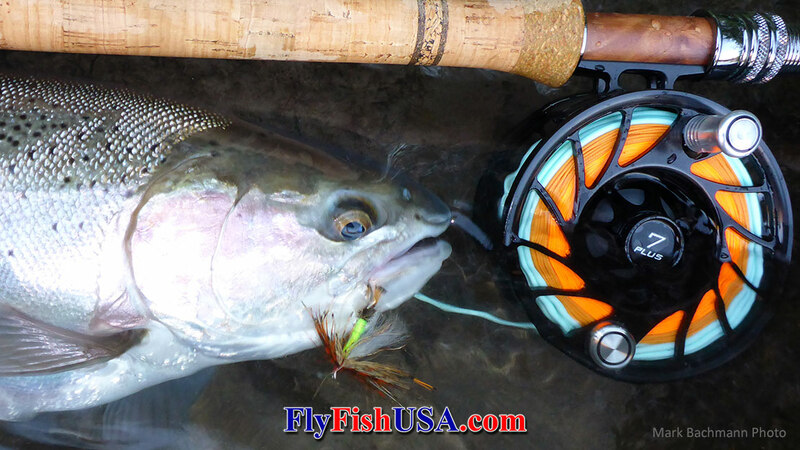 This has proven to be a great Deschutes River fly during both clear water and turbid water times. It is one of the flies that raises fish to a floating line wet-fly swing, even when water temperatures are pretty cold. It is also proven on the Sandy River in late fall and early winter, but with sinking tip lines. This shoulder season can be very interesting with vertually no competition from other anglers.